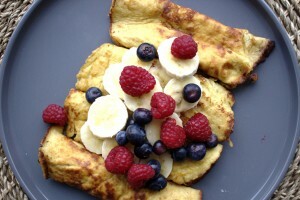 If you love no-fuss wholesome recipes then you will love these easy quick almond flour pancakes. I love these pancakes because they seem like they are fancy but really they’re not! No refrigerating batters it before you make them. Simply mix the ingredients in a bowl, melt some butter or coconut oil in a frying pan and fry for a few minutes. Being on the Specific Carbohydrate Diet (SCD) or on a Paleo diet inevitably means a lot of breakfasts consist of scrambled eggs, poached eggs or boiled eggs. These quick and easy pancakes are a nice change for a special weekend breakfast. You can get creative with the toppings. Try them with some fresh fruit, yoghurt, almond butter, raw honey or just on their own. I found the inspiration for these pancakes on the SCD boot camp wiki page, although I have adapted the recipe myself as I felt it needed some work. We’re very happy with the results. 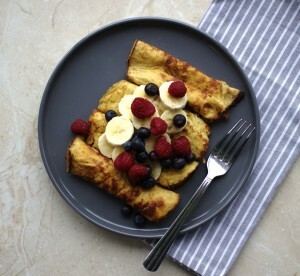 As these passed the taste test with my husband and daughter, one pancake recipe fits all! Super easy and quick grain-free pancakes. 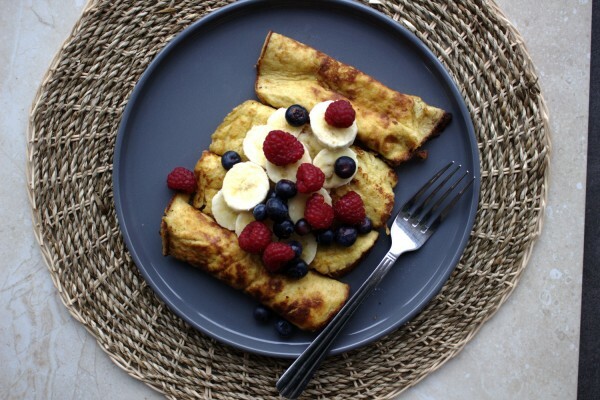 Perfect for a busy weekend morning! Whisk the eggs in a bowl or glass jug then mix in all the ingredients (except the butter or coconut oil). Whisk until well combined. Heat a small amount of butter (one or two teaspoons should do) in a small frying pan on a low-medium heat. 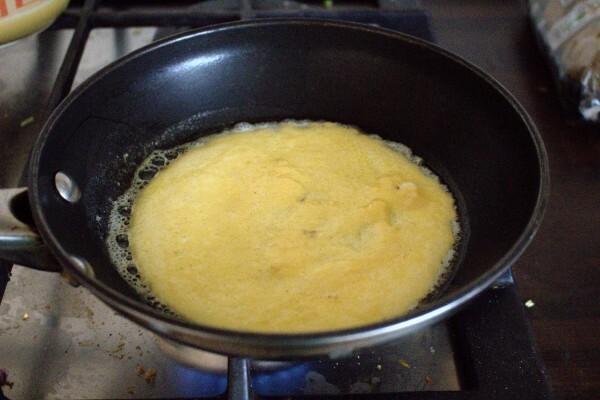 Once melted, add roughly one quarter on the mixture to he pan. Continue to cook for a few minutes until the under side is cooked. You can use a metal spatula to check it underneath. Flip, with a spatula once ready and cook on the other side. I actually found them easy to flip. Repeat the process until all pancakes are cooked. Serve with fresh fruit or your choice of toppings.